VW's I.D.range, which launches in 2020, will boost the EV market. Shown, from left, are the I.D. Buzz minivan, I.D. hatchback and I.D. Crozz crossover. Sales growth of electric and plug-in hybrid cars has dimmed across the European Union’s major markets during the first half because of limited driving ranges and a patchy charging network. Registrations of electric cars rose 33 percent in the six months through June, compared to a 54 percent surge a year earlier, consultancy EY said Tuesday. Strong demand in Germany, the EU’s biggest auto market, wasn’t enough to offset meeker growth in the UK, the second largest. Automakers in Europe are under pressure to meet tough new EU rules on lowering fleet carbon dioxide emissions that will be phased in during 2020. Consumers staying on the fence on electric cars, and favoring gasoline cars over diesel engines, raises the stakes for automakers such as Mercedes-Benz maker Daimler and Fiat Chrysler Automobiles who risk steep fines if they exceed the new ceiling. Diesel cars emit about a fifth less CO2 than equivalent gasoline vehicles. Demand for diesel has slumped in the EU’s biggest automotive markets during the first half of the year as buyers worry about driving bans in cities, three years on from Volkswagen’s emissions cheating. At the same time, sales of gasoline cars have jumped 16 percent. 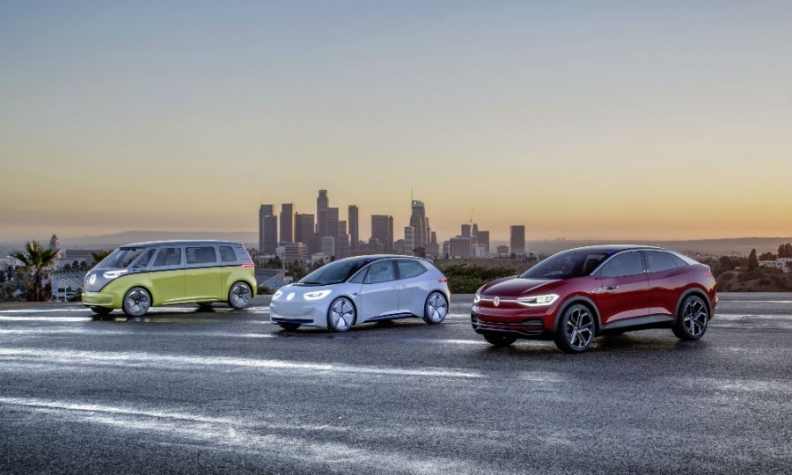 Automakers including BMW, Daimler and Volkswagen will unveil a range of new electric products in the coming years, such as the BMW iX3 SUV and VW’s I.D. mass-market range, a standalone battery lineup. EDITOR'S NOTE: The headline on this story has been amended for accuracy.